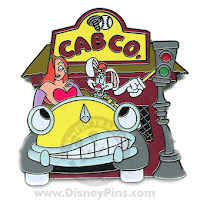 Roger and Jessica Rabbit are out for a spin with Lenny the Cab (Benny's cousin) on the Roger Rabbit's Car Toon Spin ride. 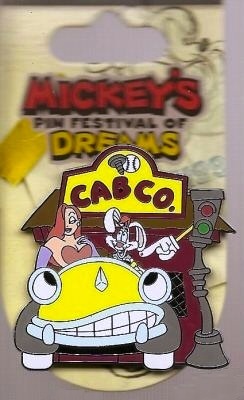 This was released at the special Mickey's Pin Festival of Dreams event. It was released on a special backer card.